The Louisville Bats received a strong start from rehabbing Cincinnati Reds right-handed pitcher Homer Bailey and pounded out 13 hits in a 9-0 win over Toledo. Bailey surrendered three hits in five and one-third shutout innings while striking out six batters and walking one. Designated hitter Yonder Alonso, first baseman Eric Eymann and second baseman Kris Negron each homered in the game. Walton native and former NKU outfielder Jake Shaffer extended his hitting streak to 10 games and was 3-6 with one double, two RBI and two runs scored for AA Jackson. Shaffer is batting .368 with three home runs, 10 RBI and 13 runs scored on the season. Lexington native and former UK outfielder Collin Cowgill was 2-5 with one triple, one home run, one RBI and two runs scored for AAA Reno. Former UK left-handed pitcher Chris Rusin took a no decision after surrendering three runs, two of which were earned, on seven hits in five innings while striking out three batters and walking one for AA Tennessee. Louisville native Seth Bynum slugged his second home run of the season for AAA Syracuse. 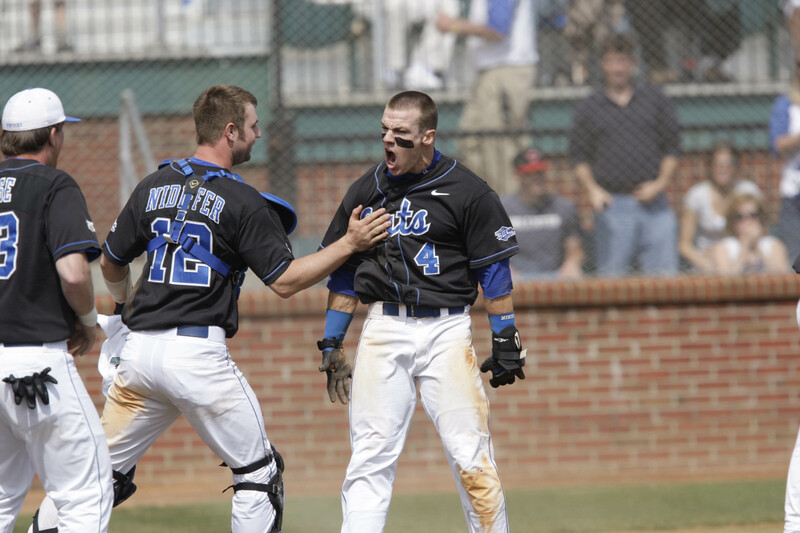 Trinity alum Tyler Kuhn was 2-4 with one double, one triple, one RBI, one walk and two runs scored for AA Birmingham.